The increasing popularity of scleral lenses is largely attributed to their significant and well-documented benefits for patients. A substantial advantage of scleral lenses is visual rehabilitation of irregular corneas by the same mechanism as corneal gas permeable correction, but with improved lens centration and comfort. Patients suffering from ocular surface disease benefit from constant lubrication/hydration of the cornea. Remarkably, corneal staining diminishes rapidly with scleral lens wear by an unknown mechanism (http://netherlens.com/october_2015). Additionally, pain and photophobia are attenuated almost immediately in patients who have severe ocular surface disease; similarly, this mechanism is unknown. Clearly, there is a need for research to uncover and understand the mechanisms that provide life-changing benefits for patients and also prevent potential complications. 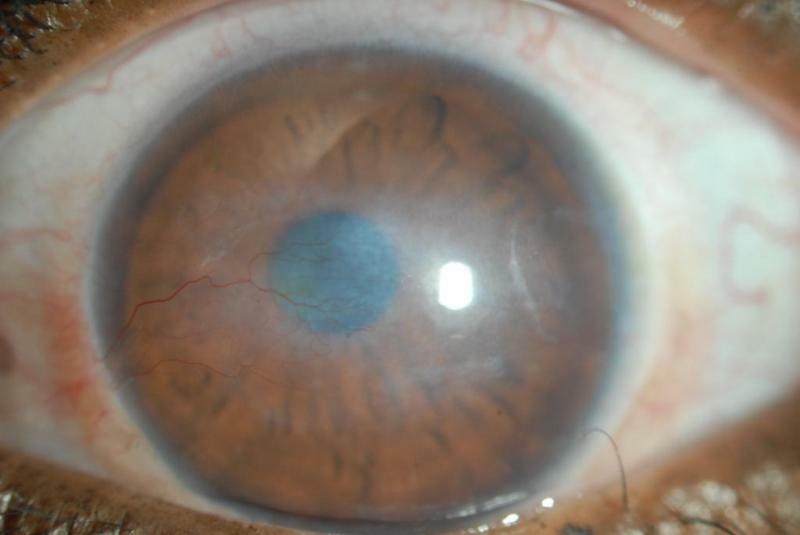 This case report demonstrates a unique and rare phenomenon of a reduction in corneal opacification over six years of scleral lens wear. A 23-year-old African-American female with a history of poorly controlled type 1 diabetes mellitus presented with bilateral neurotrophic opacified corneas with persistent epithelial defects. Figure 1 demonstrates the initial presentation OD. Figure 2 shows the initial presentation OS. Figure 1. White light presentation of the right eye demonstrating significant opacification especially superior nasal with neovascularization (left). The surface has a persistent epithelial defect highlighted with fluorescein (right). Figure 2. White light presentation of left eye with a persistent epithelial defect and active neovascularization leading to the defect (left). Opacification is less than OD. The defect is highlighted with fluorescein (right). Both corneas were completely anesthetic, and the patient was comfortable. The main reason for fitting scleral lenses was to protect the corneas from the environment, lubricate the cornea and resurface the epithelial defects. She was successfully fit with scleral lenses OU; however, best-corrected visual acuity with scleral lenses unfortunately was detection of hand motion OD and counting fingers at 1 foot OS. During the fitting process, epithelial defects were resurfaced. The patient lived far away from the clinic and had to fly for her scleral lens fitting. Unfortunately, the patient had complicated living circumstances in which her resources and government aid for her medical care was confiscated by a caregiver, which contributed to her poorly controlled diabetes. Needless to say, she was lost to follow up. Six years later, she returned to the office still wearing the original pair of scleral lenses. Her living situation had improved significantly, and she was receiving the proper care she deserved. She had undergone a kidney transplant and was taking anti-rejection medication. Her entering visual acuity remained the same in the right eye (detection of hand motion), but in her left eye it had dramatically improved to 20/80. While the opacification appears worse in the right eye (Figure 3), the dense initial opacification superior nasally had improved, and the neovascularization had ghosted. The left eye showed dramatic improvement in opacification, also with improved vascular ghosting (Figure 4). Modifications were made to the fit of each scleral lens; however, visual acuity did not improve. Figure 3. 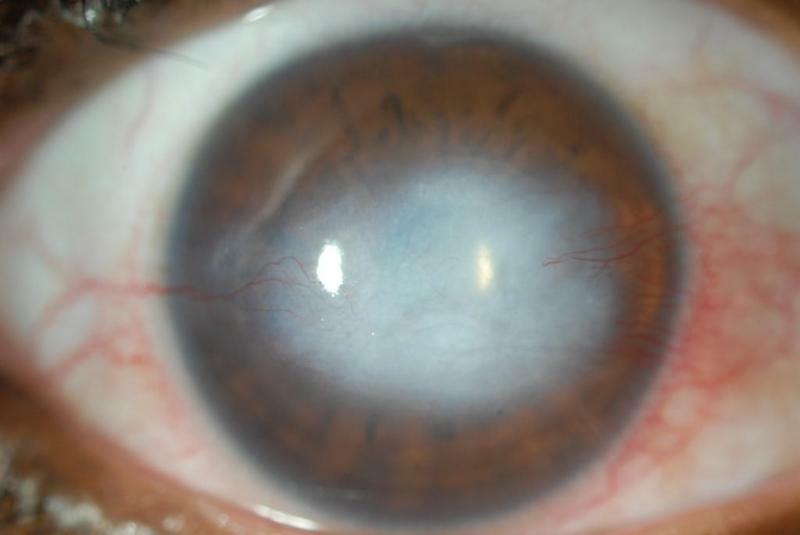 Presentation of right eye after scleral lens wear six years after the initial fitting. Figure 4. Presentation of left eye after six years of scleral lens wear. This case demonstrates a dramatic decrease in opacification in the left eye. Unfortunately, the right eye did not have the same outcome. While scleral lens wear was constant over the course of six years, this patient also had systemic anti-rejection medication following her kidney transplant. These medications may have contributed to the significant decrease in opacification. Anecdotally, I have observed corneal opacities lighten in some of my keratoconus patients as well, suggesting that scleral lens wear may have a causative effect. 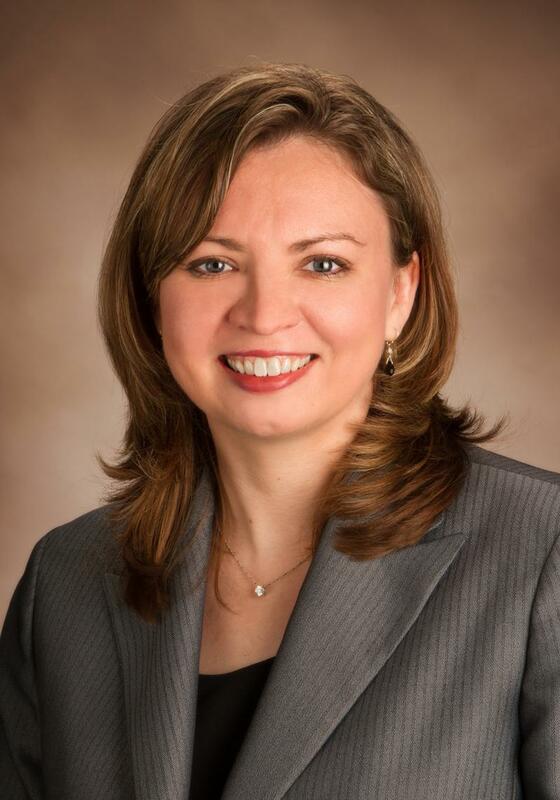 Lynette Johns is an adjunct assistant professor and clinical attending in contact lenses at the New England College of Optometry. She was formerly the senior optometrist at the Boston Foundation for Sight where she exclusively fit scleral lenses and managed complex corneal disease.